As part of my ongoing quest for cycling Nirvana, I have been thinking about replacing the $9 bear trap on my Panasonic winter bike, shown below, which have drawn blood from my shins a few too many times. 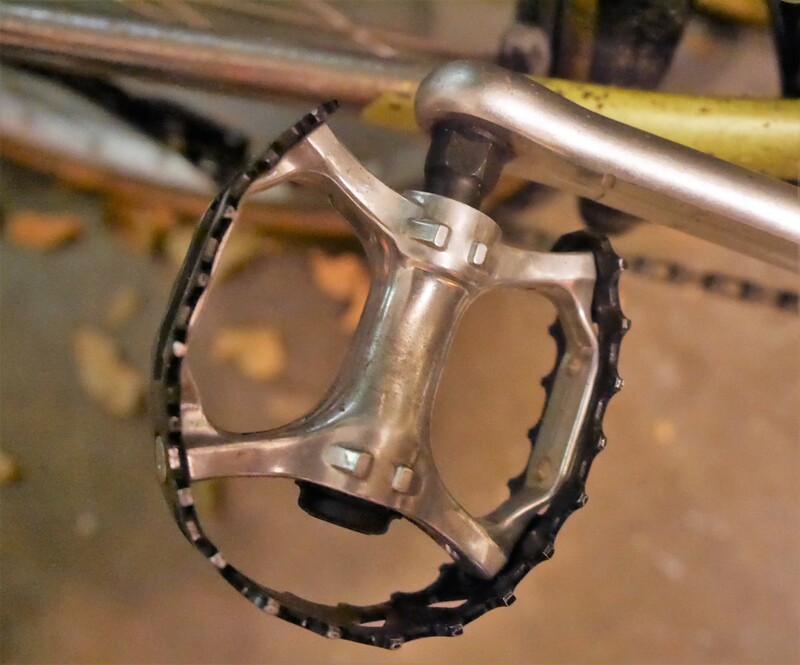 There’s nothing really wrong with these bear trap pedals, other than their sharp teeth, which provide grip for rain riding, and have therefore been forgiven for this sin. One criteria I require of all pedals that I buy is that they must be fully rebuild-able, with cup and cone adjustment. And, I want a steel axle for a long lasting component. I have often used MKS pedals when vintage pedals are not available or appropriate for a particular application. I have found MKS pedals to be enduring and reliable, but they are often shipped very dry, and with a too tight bearing adjustment. So, I was fully expecting these Shimano Saint platform pedals to be totally dry and adjusted too tight when I received the shipment. Not so. The pedals had so much grease applied that it was oozing out of the Cro-Mo axle. The cones felt a little tight, but not excessively so. 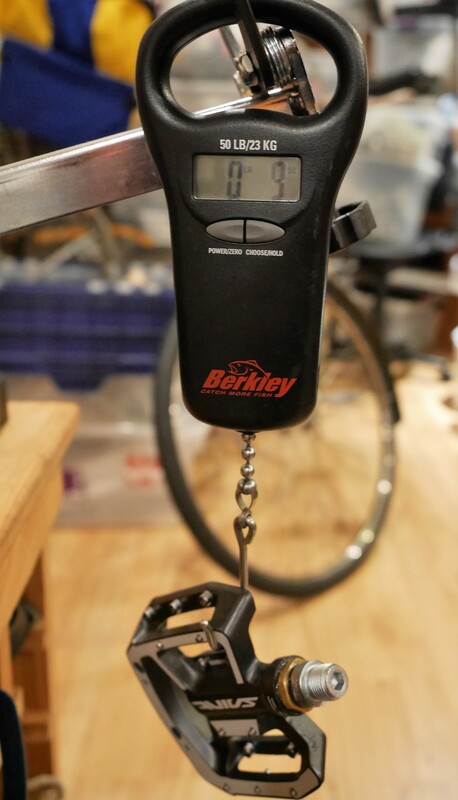 And, if you really want to geek out, the pedals come with alternate pins, washers and an Allen wrench to help you fine tune this pedal for your riding application. 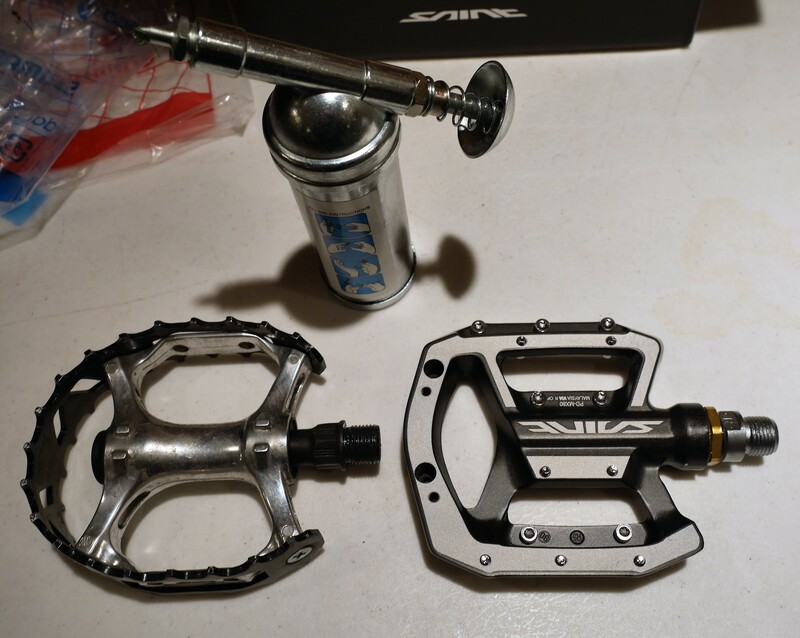 The Shimano Saint pedals are overall very similar in size to the bear trap pedals I had been using. So, I was skeptical about them at first – what could they offer at $70 that would be better than the $9 bear claws? The Shimano Saints weigh 9 oz per pedal as compared to the bear traps, which weigh a mere 6 oz. Surely, this meant that I would feel sluggish and bogged down using these heavier Shimano pedals, yes? In practice, the opposite was true. I enjoyed riding these pedals. 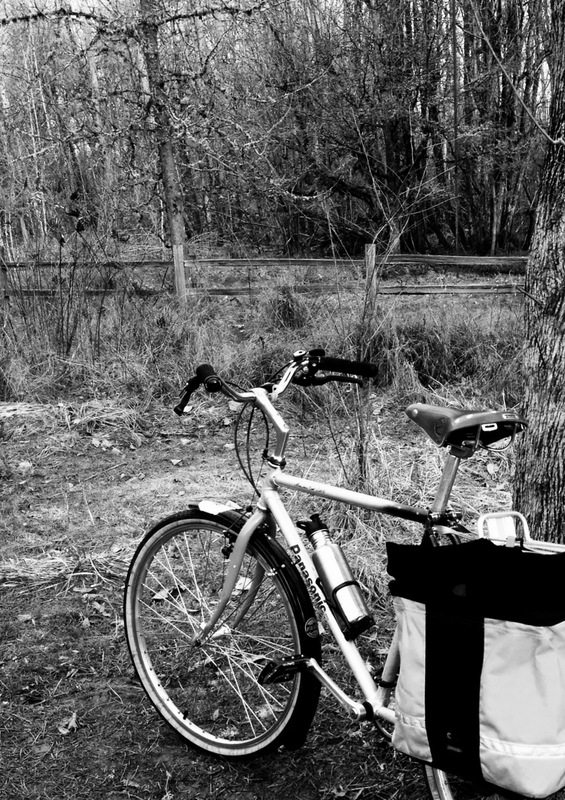 I felt that the weight on my feet was being more evenly distributed, and I did not experience any unpleasant hot spots as I rode out today on a beautiful Portland winter morning. 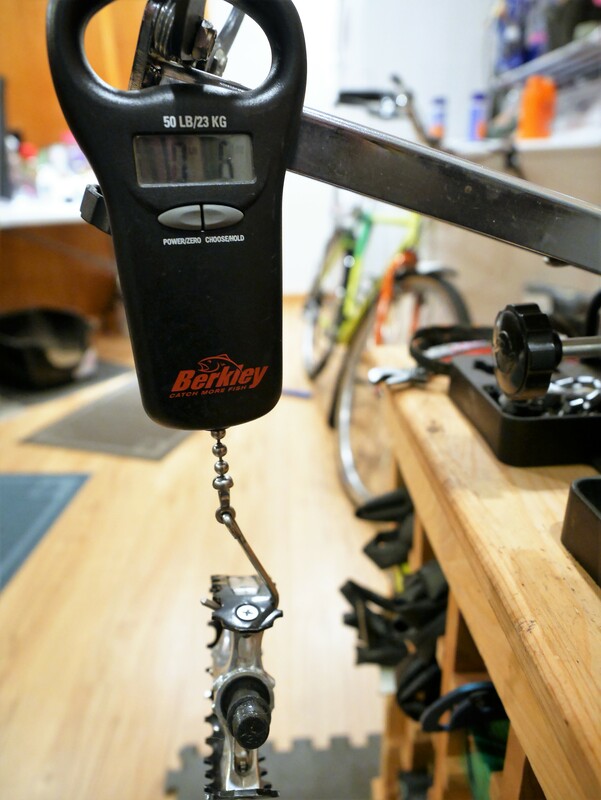 Did I mention how much these pedals weigh? Ha. I was sure that the extra weight would be noticeable. Instead, I found myself tackling hills I don’t normally undertake, and enjoying every minute. If you are looking for a nice platform pedal with adjustable cups and cones, and fully customize-able pins on the pedal surface – these Shimano Saints are for you. 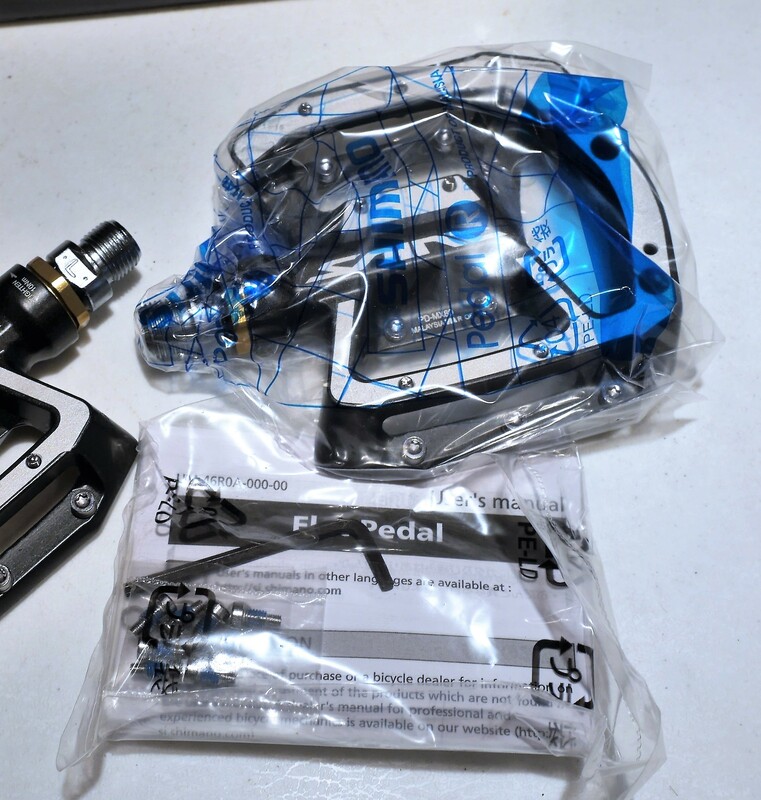 This entry was posted in Bicycle restoration, cycling and tagged Bicycle pedals, Cycling pedals, MKS pedals, Platform pedals, Shimano saint by Nola Wilken. Bookmark the permalink. Those are nice. I made sure my platform pedals had steel spindles before I bought them, too. I have a couple questions, though: Did you remove the two outer studs? Also, is that copper (locknut?) stock, or did you include it? Hi Paul, what appears to be a copper locknut is the cylinder that houses the bearings and cups/cones. The axle resides inside this cylinder. There’s a good video at https://www.youtube.com/watch?v=utLU4kAHk_Q which shows the process of overhauling modern Shimano pedals, which are all very similar. Different for this pedal is that there are no plastic parts, as compared to Shimano road pedals, and that is a plus. I didn’t remove any pins – I believe those holes are for mounting reflectors. I LOVE platform mtb pedals. They can be extremely pricey depending on the brand, build and materials. Mine appear to be made VP components but with another brand name…but it’s all my local bike shop carries and they are extremely lightweight. I have sets of them on two bicycles, more to come. They come in candy bright colours, have pins and are fabulous, confidence building sturdy pedals. Those bear claws would injure me every ride! Thanks, Heather. 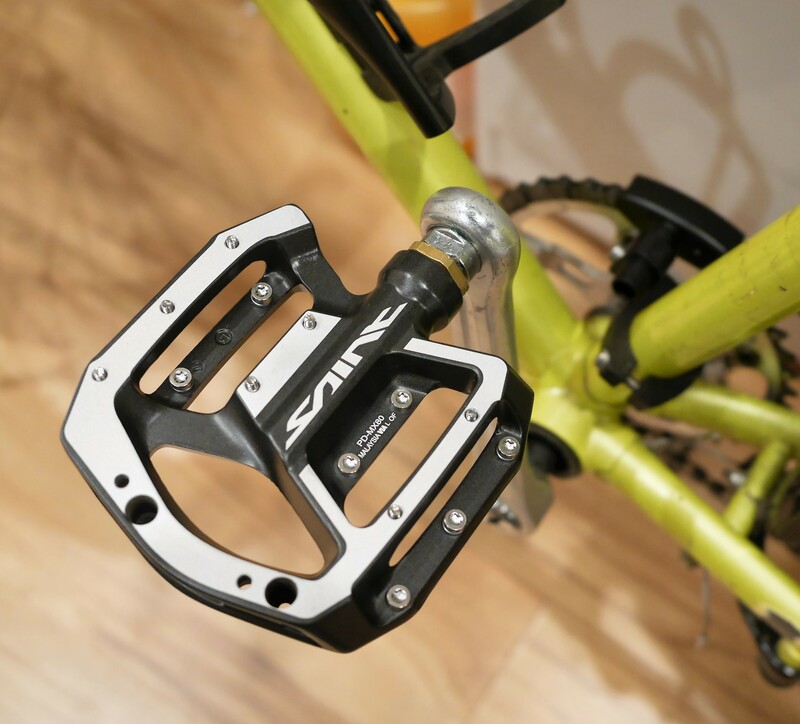 I’m glad I have discovered them, and as I mentioned before I think that MTB pedal design is one rare example of the superiority of modern technology over vintage components. The large fully supportive surface, the pins for shoe stability, and the quality materials used in these Shimano Saints make for a better pedal.